Whatsoever you do, do not identify with the mind, do not identify with the thoughts. 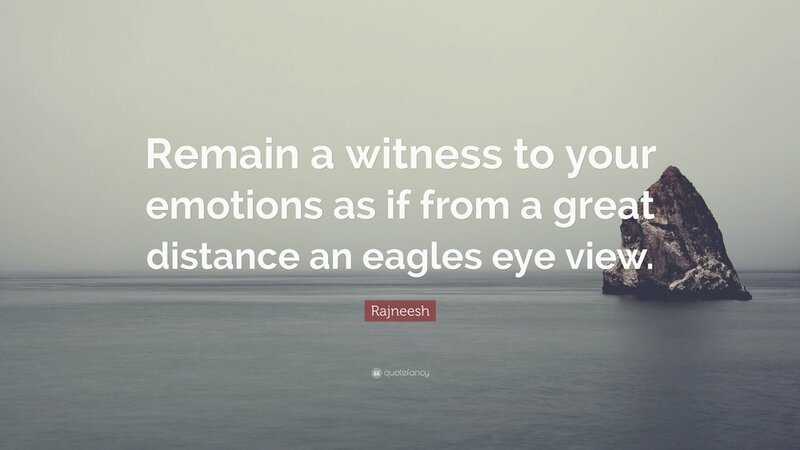 Remain a witness, a pure witness to whatsoever you are doing. Your thoughts and your mind are not the real you, as they come and go. Mind likes to create illusions and dramas. You are the eternal pure consciousness, witnessing whatsoever is unfolding, without identifying with any outer dramas. If you feel overwhelmed, hurt, tired, drained… it is mostly like you become identified with the mind, with the thoughts and stories that are going on in your mind. Your thoughts are there, but they should not be your master. The mind is here, but it should not be your master. Remain fully alert and aware, know that you are not your mind, you are this pure eternal consciousness. Remaining a witness to whatsoever you do, with no identification.